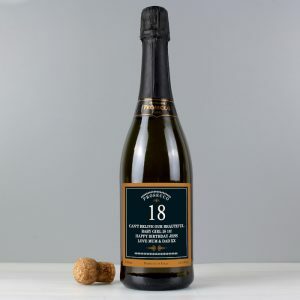 Looking for a gift for a family member or friend who loves to travel? 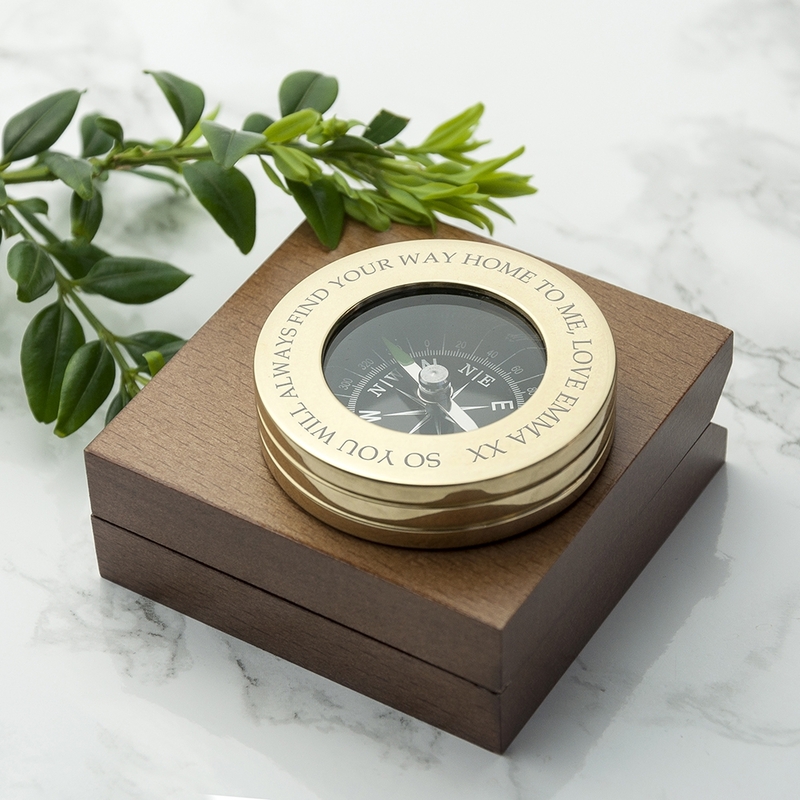 Then take a look at our Personalised Brass Travellers Compass & Box it’s perfect. 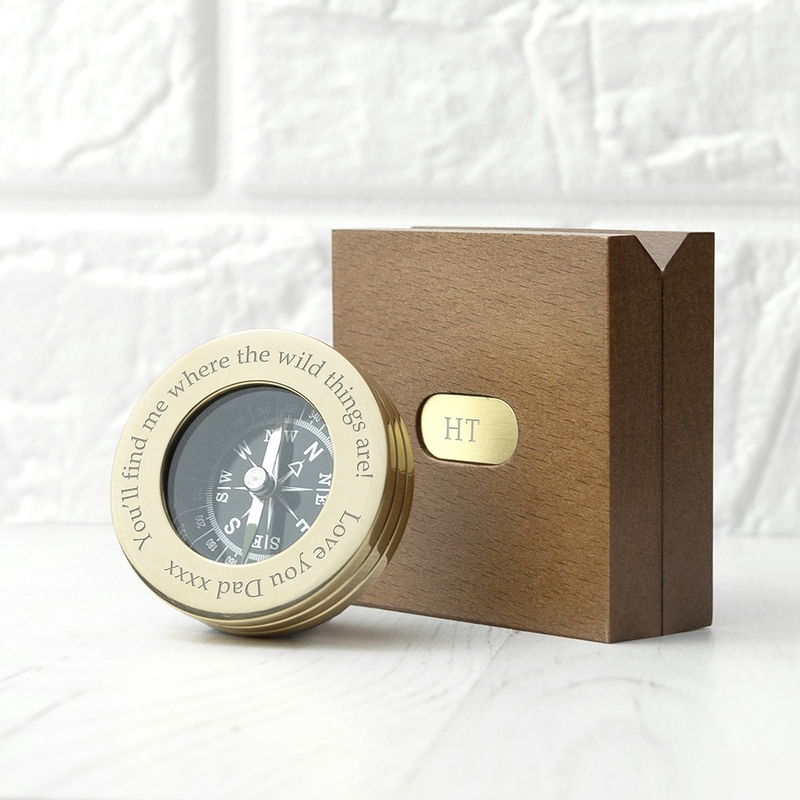 A high quality brass compass that’s fully functioning and presented in a stained mahogany wooden box. 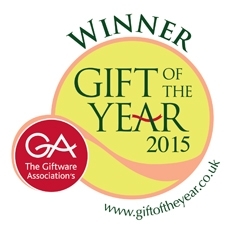 This fantastic compass won Gift of the Year in 2015, and is still one of our best selling gifts. Please Note – This is the original and authentic compass. 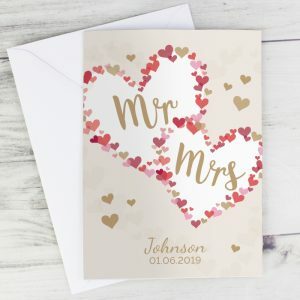 Please don’t be fooled by cheaper imitations sold on other cheaper selling sites! 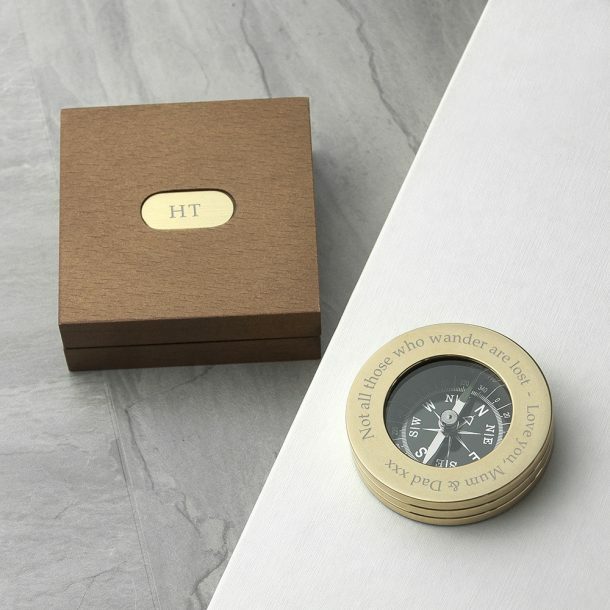 The base of the compass is lined with black felt to protect surfaces when it’s not in use, enabling the recipient to display this superb gift at home or in the office. 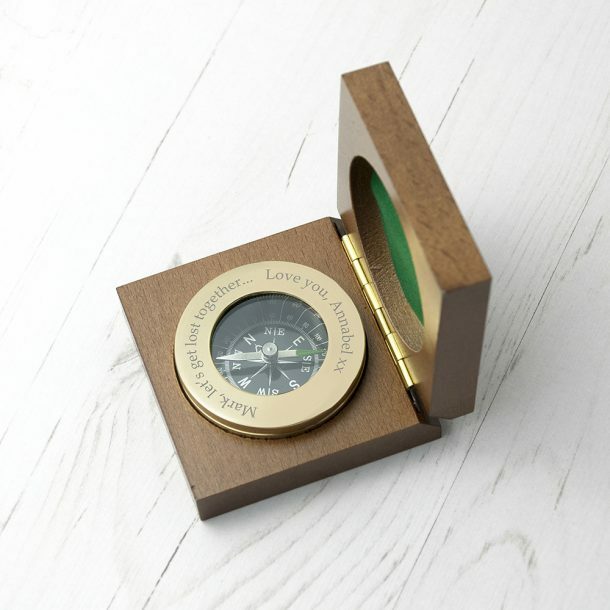 The brass plate on the presentation box is inscribed with any 4 characters of choice, and the interior of the box is lined in green felt to protect the compass face. 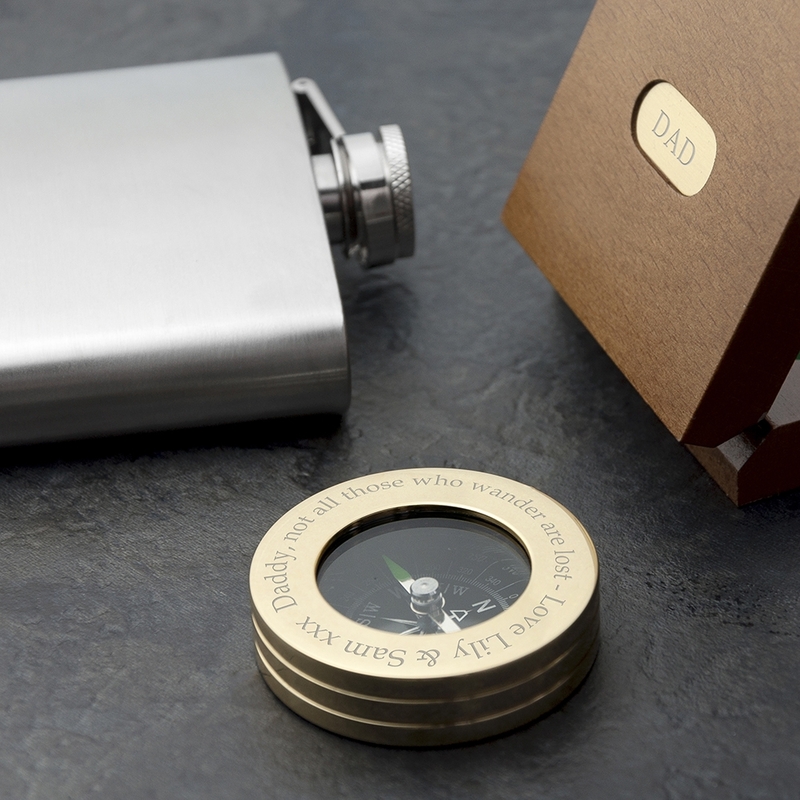 The compass is professionally engraved with any 60 character message of choice. 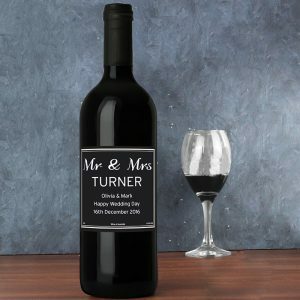 A fantastic gift for the voyager and a gift that’s perfect for them to display at home, or in the office when it’s not in use as a paper weight. 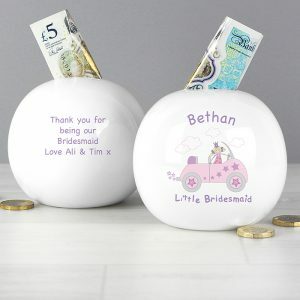 A gift that will always help them find their way home to you! 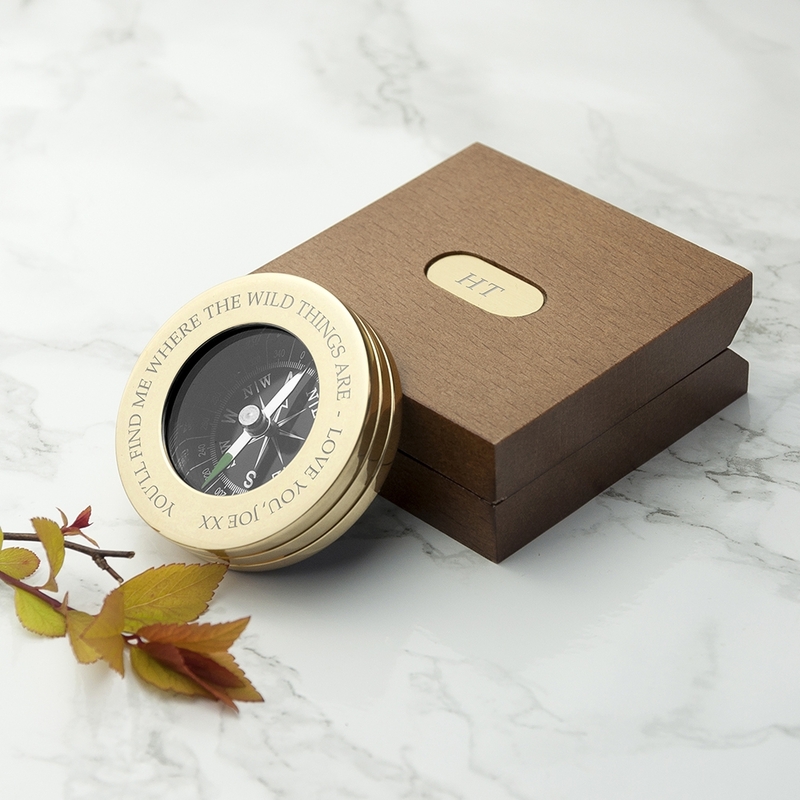 A stunning personalised compass that’s ideal for lots of occasion, whether you choose it for a Wedding Anniversary gift, a milestone Birthday present or a gift for a colleagues Retirement this compass is charming, and it’s one they will treasure for years. A classy gift for my son who’s going travelling, well packaged and the personalisation is perfect, the heart emoji makes it extra special!